'People think of prison officers as bouncers who just turn keys and shout orders. But you couldn't have a more caring, diverse and challenging job' Unlocked Graduate. 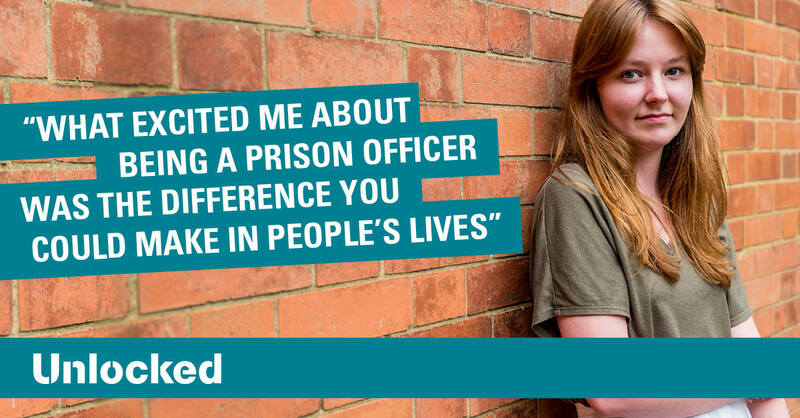 Unlocked Graduates is a scheme that produces committed, supportive and inspirational leaders to work in prisons across the UK. 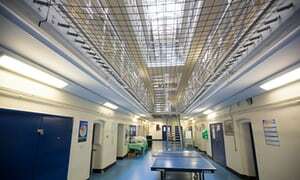 In attempting to change the way people think about prisons and prisoners, the scheme focuses on teaching people how best to deliver rehabilitation, with the aim of reducing the harm and cost of reoffending. The course was inspired by and modelled on the highly successful Teach First scheme, which trains recent graduates to teach in low income schools. In its first year, the scheme successfully placed 50 graduates into prisons across London and the South East. 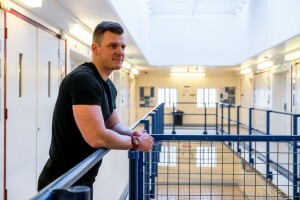 By spending time serving as a prison officers, graduates work closely with prisoners and learn how best to support them and aid the process of rehabilitation. Graduates spend the two-year course working towards a fully funded Master's in Leadership and Custodial Environments, and gain first-hand experience and skills that will benefit them throughout their professional lives. The course has been praised for recruiting individuals from a range of backgrounds who visibly challenge what a 'typical' prison officer looks like. In the first cohort, 80% participants were women – compared with 37% nationally – and 20% came from an ethnic minority background – compared with 7% nationally. Many participants may never have considered working in the prison environment previously. As a result of this, graduates are able to inject new ideas, insights and energy into the service, creating the space for innovation and penal reform. Each graduate is assigned a mentor within the first few weeks, who supports and guides them throughout the duration of the course. This gives graduates the unique opportunity to learn from experienced and skilled prison staff, which helps them to fully grasp the intricacies of their new working environment. Graduates are also given the freedom to explore the potential for new initiatives in the prisons they work in. For instance, Unlocked Graduate Danielle has created a new incentives scheme to encourage younger prisoners to take on jobs and positions of responsibility. This is likely to benefit them hugely in the future, helping to foster strong and positive attitudes towards work and realising their potential. 'They bring fresh eyes and minds to a prison system that has traditionally been about discipline and rigidity. They're so confident and positive. They see solutions where traditionally, the prison system has just seen the problems.' Prison Officer. 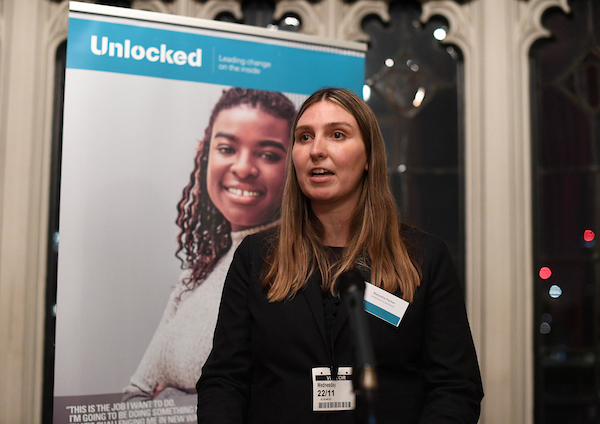 Following the success of the first programme, Unlocked Graduates has announced that the second-year course will be expanding into the youth prison state. Graduates on this course will receive specialised training to equip them with the necessary skills to support disadvantaged young people and address some of the systemic problems that they face. As part of this scheme, graduates will spend time researching ideas for a policy paper, with the aim of highlighting new ways to reducing reoffending. This provides Unlocked Graduates with the unique opportunity to be involved in transforming the youth estate and identifying solutions that can be shared across the sector. Since the inception of the course, Unlocked Graduates has started to transform the ways in which prison staff are recruited and trained, whilst challenging the traditional notion of what a prison officer looks like. By nurturing graduates' drive, dedication and energy, the course can instill a new-found enthusiasm for research and reform. In an environment that often sparks fierce public debate, Unlocked Graduates provides individuals with an opportunity to identify areas for reform and get their voices heard, whilst working closely with prisoners to make a real, tangible difference.